In present times, the rise in double income couples, has made parents are more concerned about the upbringing of kids in their absence. A normal day work days consumes most of the time with barely few hours left to spend with the child. After all parents don’t want to compromise on providing any comfort available for their kids. It is for them that they work so hard to weave a financially secure future. Be it their education, marriage or any other requirement, they keep adequate corpus to meet the requirements of raising kids in the best possible manner. Security is the prime concern for the working couples. They cannot rely on just anybody to take care of their kids when they are not present at home. One of the biggest cons of being into a nuclear family is that you have to depend upon the services of the day care. To tackle this hiatus between the parents and kids, there are several day centres offering online access to parents to watch their child's activities like the house of big boss. During anytime of the day they can stream into the app and take a look at the development activities in which their kids participates actively. The day when a child is born, they get access to a social media account to announce their arrival. Parents love getting their kids aligned on the social media platform, even before their right age arrives. In some cases, parents have even made a debut of their kids via their ultrasound pictures. Basically, before the kid actually takes hold of his/her own profile, parents do the job of enriching the dormant profiles with the most cherished moments. This trend has picked up like a rage in 2017. Hopefully, 2018 will bring more interesting profiles of celebrity kids too. Nannies are no more the traditional ladies who only take care of petty issues to support mother. These days, parents are hiring professionally skilled nannies who possess medical licenses, proper educational background. To add more, parents make sure that the nannies have good knowledge of English and converse with the kids in English. 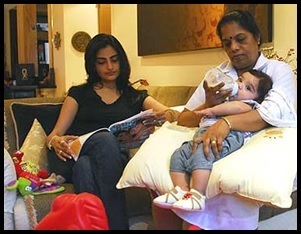 Seeing this trend, it can be gauged that parenthood is indeed a tough job and nannies facilitate in reducing the burden of parents to some extent. They imbibe the moral values in the kid that otherwise either grandparents or parents would have taught. The demand for the gender neutral toys has picked up in 2017. Parents do not want to create a line of distinction by gifting Barbies to daughters and Shin Chan to sons. They look forward to pamper kids with gender neutral toys. 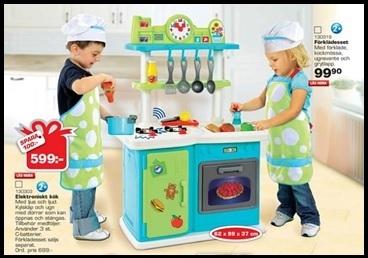 These toys and games do not limit the development of kids or restrict them to think within a particular zone. Why teach a girl to become a chef and a boy to become a footballer when both of them can succeed in life with a role reversal. Right parenting is the key to the bright and brave future of the kids. They need to be taught the right skills. The future of the nation depends on the values that they acquire during childhood days. Stay updated with similar stories, visit jagranjosh.com and subscribe to our newsletter to get interesting tips in managing your career and personal life smoothly.